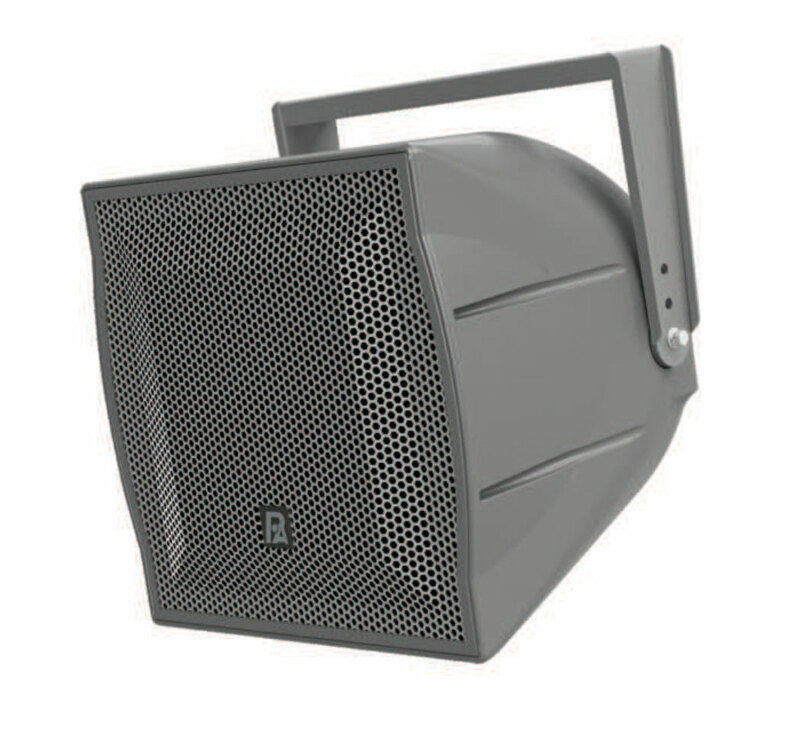 The P.Audio SW-12T is a weather protected large format sound reinforcement system. The cabinet is made from a one piece rotomolded UV resistant polyethylene enclosure. The cabinet design is ported to aid low frequency extension, and the 12 inch is horn loaded to achieve higher SPL than would otherwise be possible. Within the cabinet there are 5 integrated rigging points, which can be used in conjunction with the included U Bracket kit for mounting to walls or ceilings. When pole mounting is required, an optional Pole Mount Kit can be purchased. The grille is made from CNC punched steel, and coated in a two-layer zinc rich, UV resistant powder coat finish. The 12 inch woofer has a treated cone paper pulp for resistance against water and against dry rot. The high energy ferrite magnetics ensure high SPL for maximum coverage from a small system. The high frequency driver is mounted in front of the woofer to a large mouthed horn. This allows the compression driver to be crossed over at a lower frequency to maintain full pattern control across the entire frequency spectrum. The large format compression driver in the SW-12T is a new design which offers extremely high SPL across the entire frequency spectrum, avoiding the need for a separate mid band and high frequency compression drivers, and still offering higher SPL. The SW-12T is well suited to outdoor environments where a reliable, weatherproof system is specified. The line matching transformer allows connection to a high voltage line to minimise cable losses over long cable runs, further improving the usability of the system.